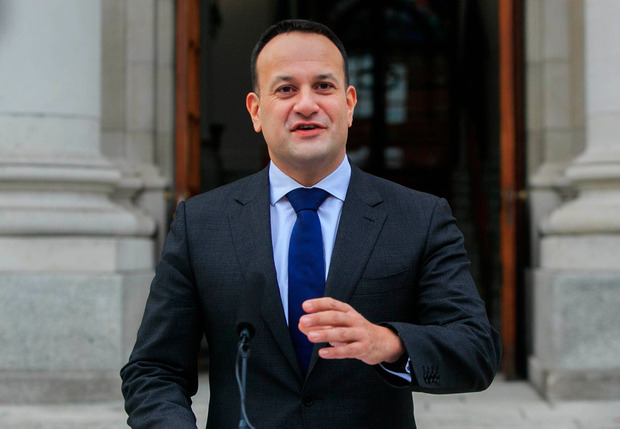 Taoiseach Leo Varadkar has said “UK-wide solutions are possible” to resolve the Brexit crisis. His comment, in a Sunday Independent article today, follows indications that senior DUP figures are now open to a ‘soft’ Brexit. Yesterday DUP MP and chief whip Jeffrey Donaldson said the “time for megaphone diplomacy on both sides” was over. He said unionists were “ready to engage” and called for “political maturity” that the Brexit challenge demanded. Mr Donaldson told the Sunday Independent: “I believe it is possible to arrive at a UK-wide solution that protects both the integrity of the UK and the EU and avoids a hard border. Certainly such an outcome avoids a hard Brexit but it doesn’t mean the UK staying in the single market. It is understood that Mr Varadkar and Foreign Affairs Minister Simon Coveney will now offer to meet a DUP delegation this week. Mr Varadkar will also ask all party leaders in the Dail to meet him on Tuesday to consult and confer on the situation. As the March 29 Brexit deadline looms, the Taoiseach will also meet German Chancellor Angela Merkel, Netherlands PM Mark Rutte, Austrian Chancellor Sebastian Kurz and Spanish PM Pedro Sanchez this week in Davos. Taken together, these developments indicate that positions are evolving in an urgent attempt to find a solution to the Brexit crisis. He later said: “I have been concerned for some time about the level of megaphone diplomacy across the border. The absence of the political institutions, including the Assembly and North-South Ministerial Council has left the Brexit process bereft of a dialogue between Belfast and Dublin. “This has resulted in a proposal for a backstop that now threatens to upend the entire process and result in a hard Brexit. If this is to be avoided, we all need to show the political maturity that has enabled us to achieve so much through the peace process and find our way through and out of this impasse. A ‘soft’ Brexit arrangement with the EU, involving UK-wide customs or regulatory alignment or non-divergence, may secure sufficient support in the Commons, with the backing of the DUP and Remain-supporting Labour and Conservative party MPs, and Scottish Nationalists. However, hard-line Tory Brexiteers have delivered an ultimatum to UK Prime Minister Theresa May, warning she will split the party if she seeks support from Labour for a watered-down Brexit plan. In his article today, Mr Varadkar refers to the controversial Ireland ‘backstop’ element of the EU-UK withdrawal agreement document.